Imagine: You are pointing at the starry night sky and tell your friends «up there flies my drawing through space». In fact, this is possible. 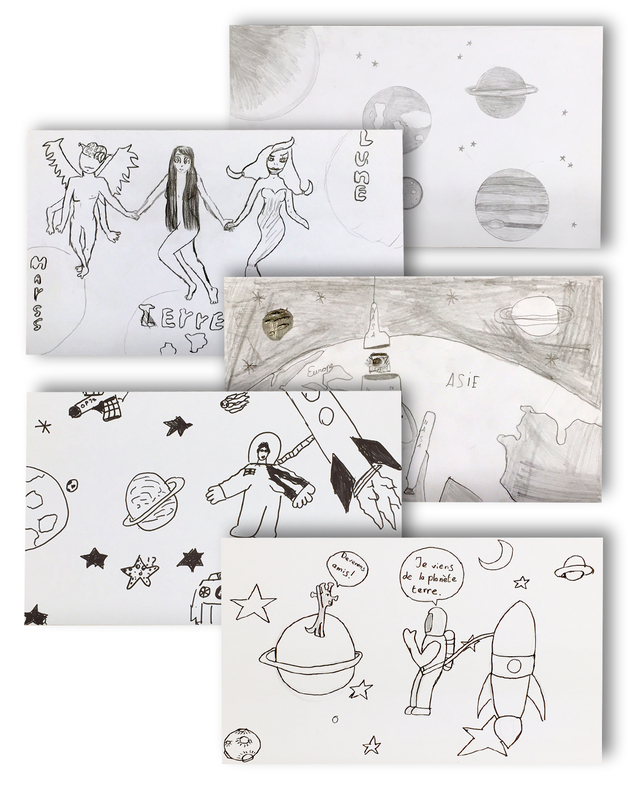 With the ESA Space Telescope CHEOPS (CHarakterizing ExOPlanet Satellite), which is built under the supervision of the University of Bern, 3000 children’s drawings will fly into space. 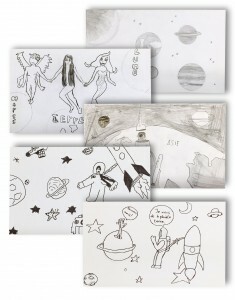 888 drawings will come from Swiss children aged 8 to 14 years. The remaining ones are collected in other ESA countries like Germany, France, Spain, Italy, or Sweden. The drawing activities were [officially] launched in March as part of observations and activities around the partial solar eclipse. More than 250 drawings have been delivered to us so far. Until October 2015 astronomical events will take place at various locations where drawings can be made. Ask your local observatories and astronomy clubs if they participate. You can’t find any activities near you? Ask your astronomy club or your school class to participate in the drawing activities. Or go to our website, read the instructions carefully, download the drawing sheet and start drawing! Send your finished drawing by mail no later than 31 October 2015 (our address is printed on the sheet). After the official closing date, the drawings will be scanned, scaled down and carved onto two metal plaques. These plaques will then be mounted on the satellite by a prominent representative of Switzerland before the start.